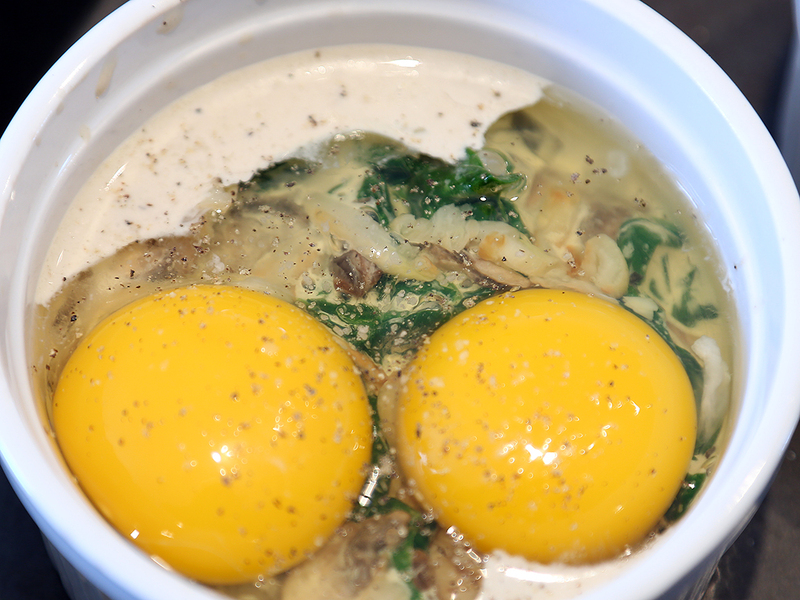 Coddled Eggs, mushrooms & cream . 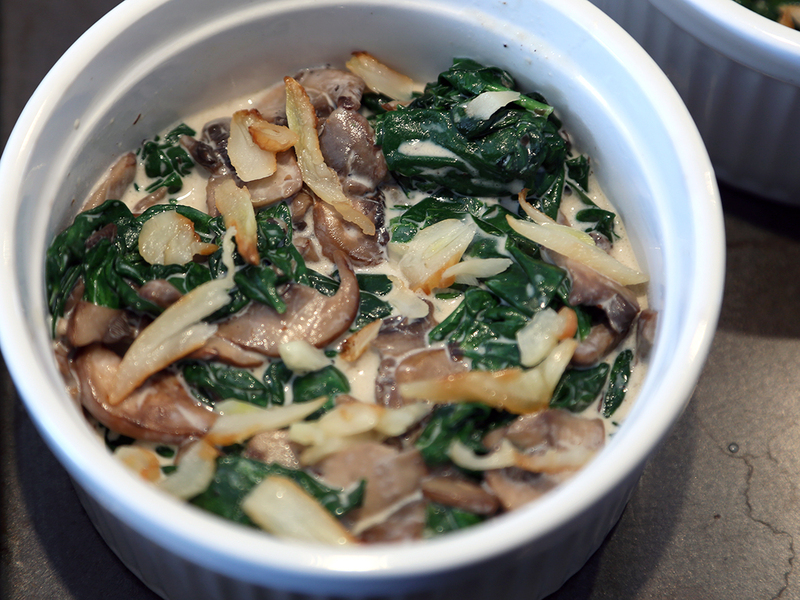 . .
Frederic Thevenet of Restaurant Aux Lyonnais uses garlic three different ways to build depth of flavor in this dish of eggs, spinach, and mushrooms gently baked in a luxurious bath of cream. Poke 1 remaining garlic clove with the tines of a fork; set aside. Melt 2 tbsp. butter in a 12" skillet over medium heat until foamy. Add spinach and cook, stirring occasionally with fork used to poke the garlic (to perfume the spinach), until tender, about 6 minutes. Season with salt and pepper. Transfer spinach to center of a tea towel and wipe out skillet. Gather up ends of towel and squeeze out excess liquid; set spinach aside. Melt remaining butter in skillet over medium heat. Add remaining garlic clove and mushrooms, season with salt and pepper, and cook, stirring occasionally, for 5 minutes. Add heavy cream and cook 5 minutes more. Remove pan from heat, cover, and let mushrooms steep for 15 minutes. Discard garlic. Heat oven to 400°. 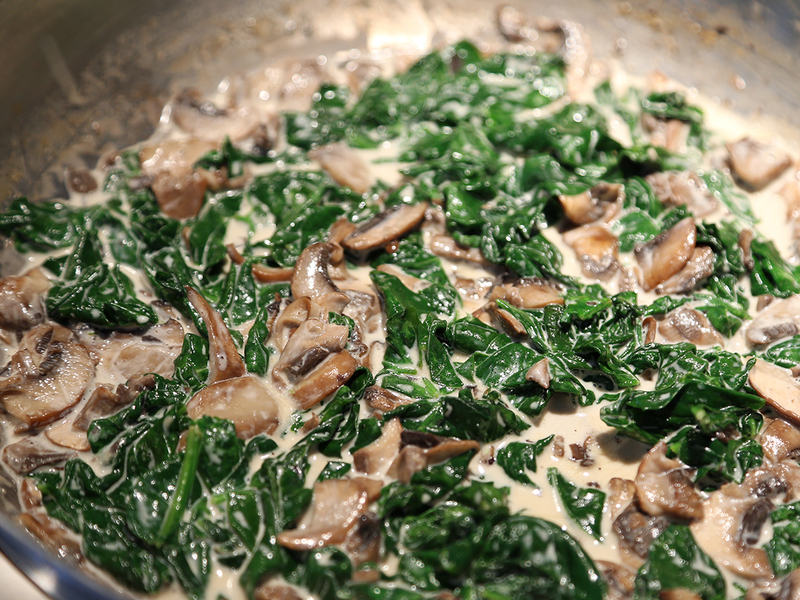 Divide the spinach and mushroom mixture between four 6-oz. ramekins. Add reserved slices of garlic conﬁt. 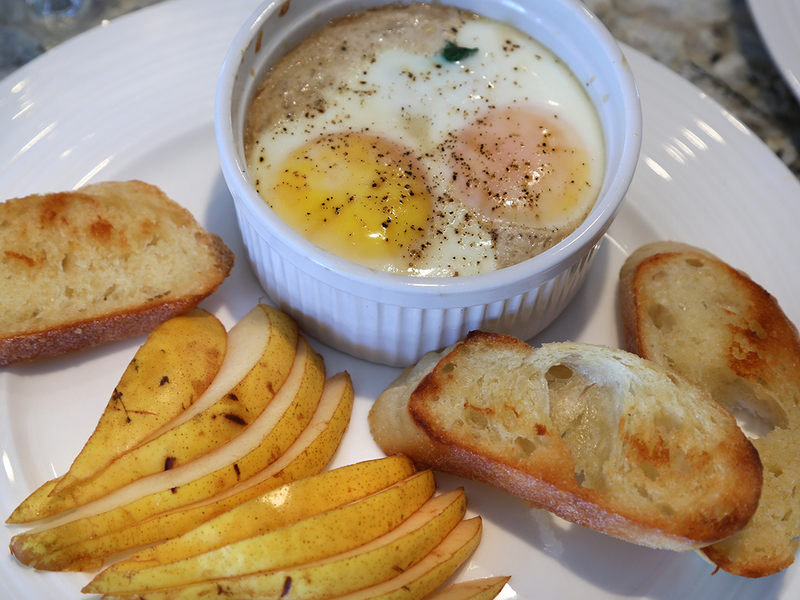 Crack 1 egg into each ramekin. Transfer ramekins to a 9" x 13" baking pan and pour enough boiling water into pan to come halfway up the side of the ramekins. Cover pan with aluminum foil and transfer to oven; cook until whites are set and yolks are still runny, about 10 minutes. meanwhile, rub pierced garlic clove over toasted baguettes slices. 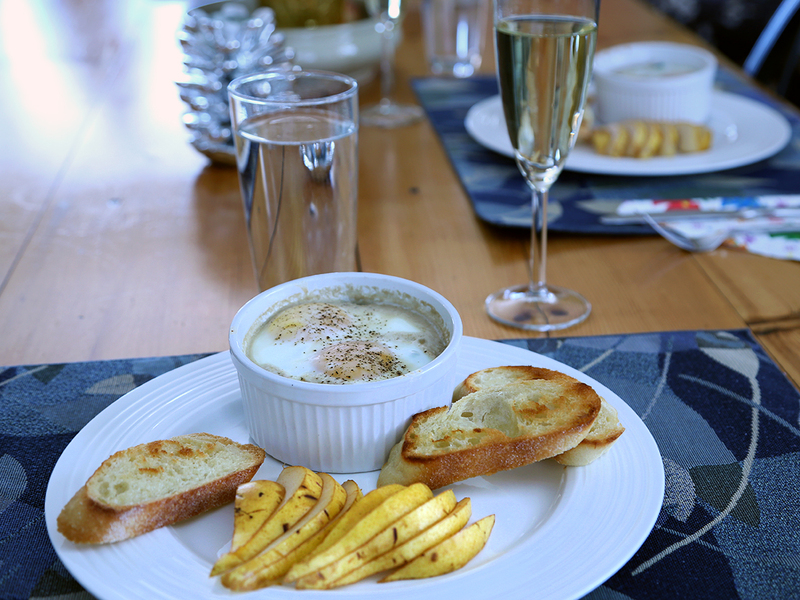 To serve, arrange ramekins and toasted baguettes on 4 plates, and season eggs with salt and pepper.